Welcome To The Center For Advanced Periodontal and Implant Therapy! All new periodontal patients will have an in-depth initial consultation with our Brentwood periodontists Dr. Aalam or Dr. Krivitsky. This will be our opportunity to review your case, uncover any unknown dental issues, and provide our expert opinion on the best treatment plan for you. During your consultation, our skilled periodontists will speak with you at length about your dental condition, pertinent health history, and will perform an oral examination. Upon conclusion, the doctor will explain your condition, treatment options, and cost estimates. You will be given plenty of time to ask questions to help you choose the best treatment plan. We promise to provide you with an accurate and precise diagnosis, along with a treatment plan at the end of your consultation. 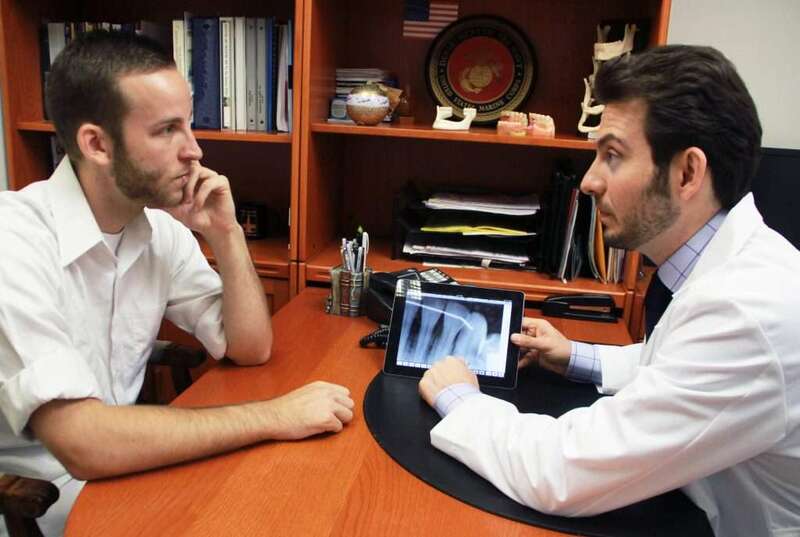 Our initial consultations typically take one hour. If more than one session is needed, we will gladly accommodate any extra time with the doctors at no additional charge. Drs. Aalam and Krivitsky will report the exam outcome and proposed treatment plan to your general dentist to ensure they are kept up-to-date for your best interest. Q: Can my teeth be saved? A: Our first priority is to save your natural teeth and we take every measure to do so. The recent advances in periodontal treatment allow us to successfully treat and save most teeth. A: No, not usually. The periodontal exam can be completed with little or no discomfort and of course, we will be as gentle as possible. We also offer sedation dentistry if the patient needs this type of care, as well as other modern in-office relaxation procedures. A: Yes, we will need current periodontal x-rays in order to see disease not otherwise visible. If your referring dentist has taken x-rays, you may request that they be forwarded to us. A: Since all patients are different, your periodontist must complete your examination before establishing your treatment plan and the fee for care. The fee for periodontal treatment can vary considerably depending on the type of problems, the complexity, and length of treatment. An approximate fee can usually be determined during the initial visit; but on occasion, some initial treatment or further diagnostics must be completed before the final periodontal treatment plan can be established. Q: Will I need surgery? A: Not everyone needs periodontal surgery. If treated early, gum disease can be controlled without surgery. We will make recommendations based on your individual situation. Our philosophy of practice is to treat as conservatively as possible to attain periodontal treatment goals. Q: When will I go back to my general dentist? A: Our office and your Dentist will work together closely. If crowns and fillings are needed your Dentist will provide them. 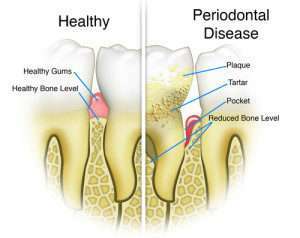 Regular visits to your Dentist are an important part of periodontal maintenance. Q: What if I decide not to have gum treatment? A: Periodontal disease is a progressive, painless infection. Delay can cause you further bone loss and more expenses. If your teeth are lost, dentures are never as effective as your own teeth. However, Drs. Aalam and Krivitsky will be sure you fully understand your periodontal treatment options so you can make the best decision for your oral health. Utilizing Advanced-Platelet Rich Fibrin (PRF), this gum grafting procedure is performed by processing a small sample of the patient’s own blood to promote faster healing and regeneration of areas affected by recession of the gums. No tissue graft is taken from the roof of the mouth, which eliminates an often painful process and reduces downtime. Dental implants are a permanent way to restore beautiful, natural looking teeth. They are more cosmetically appealing than full or partial dentures. Bone grafting is a specialized periodontal procedure to reestablish lost jawbone tissue in preparation for sinus augmentation, socket preservation, ridge augmentation, or regeneration. A sinus augmentation increases the height of the bone so reconstructive work such as dental implants can be performed while protecting the sinus. Receding gums can expose our teeth, causing our gums to appear unhealthy, uneven and unattractive. A gum graft performed by board-certified periodontists is a cosmetically corrective treatment to give you an even, stunning smile. Are you in need of single or multiple dental implants but unsure which implant solution is right for you? Contact us today for a consultation with Dr. Aalam or Dr. Krivitsky who can help you decide which implants best meets your needs.